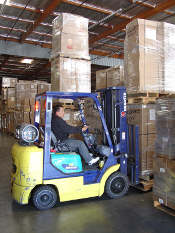 Connections Training and Staffing offers Colorado's most comprehensive forklift training and certification program. We can train your employees regardless of their previous experience or background. 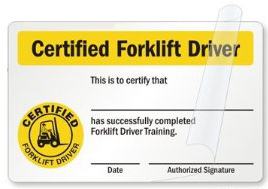 Having certified forklift operators is not only required by law but it is essential to ensuring the safety of everyone in the work environment. The intent of our forklift certification program is to provide employees with the knowledge of safe operating practices of all forklifts. Today's job market is becoming increasingly more competitive and having your forklift certification from Connections Training and Staffing will give you the qualifications to compete for the best jobs available. Participants will receive a certification card upon completion of the class criteria. Connections Training and Staffing has multi-lingual instructors and offers the forklift training course in both English and Spanish. We offer a flexible training schedule that can accommodate large groups or individuals. We can hold training courses at either our high quality training facility or your place of business. Contact us today to set up a Forklift Training and Certification Program designed for your specific needs.